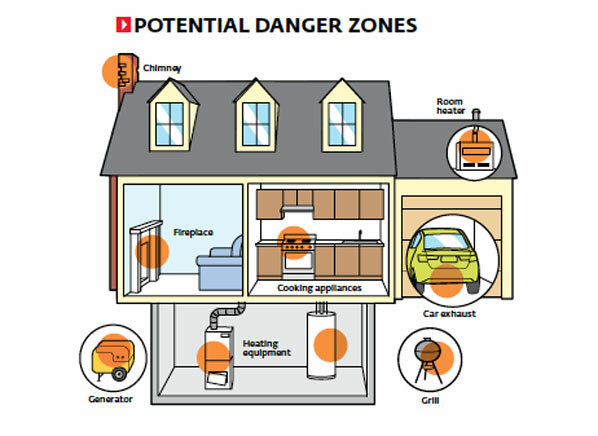 According to the federal Centers for Disease Control and Prevention, the first month of the year is the worst for carbon monoxide poisoning. At least two people die each day from carbon-monoxide poisoning in January –three times the fatality rate recorded in August and July. Unintentional carbon monoxide exposure accounted for 15,000 emergency room visits annually between 1999 and 2004, with an average of 439 people dying each year.